Apps on the Universal Windows Platform (UWP) Are You Confused by the Windows App Terminology? 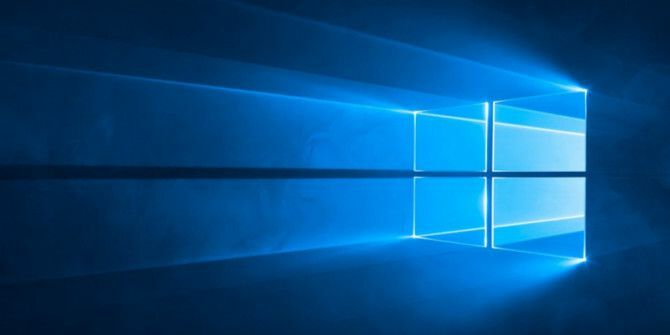 Are You Confused by the Windows App Terminology? Did you ever wonder what's the difference between an application, program, or software? Or whether that Windows app is metro, modern, universal, or plain straight? You're not alone. Let us clear things up! Read More actually have a built-in ability to share certain things with other apps — such as tweets in the Twitter app or email in the Mail app. But this feature is, for some reason, disabled by default. Here’s how you can unlock it. Launch the Registry Editor (regedit in the Start Menu). In the left panel, navigate to HKEY_CURRENT_USER\Control Panel and make sure Control Panel is selected. In the right panel, right-click on empty space and select New > DWORD (32-bit) Value. When prompted for a value, set it to 1. That’s it! It’s as simple as that. Now you can launch the Settings app from the Start Menu and navigate to System > Share and you’ll see a handful of options that weren’t available before, including a list of apps that you can enable or disable for sharing. Again, because this feature is tied into the Universal Windows Platform, it will only work with UWP apps — so if you find this feature very useful, it could be one reason to prefer UWP apps over regular desktop apps Desktop vs. Windows Store Apps: Which Should You Download? Desktop vs. Windows Store Apps: Which Should You Download? On Windows 10 and 8.1, you can either download and install a Desktop applications from the web, or you can get an app from the Windows Store. We explore the differences between Desktop and Store... Read More when you have a choice. So if you’re stuck trying to decide which version of OneNote to get Which Free OneNote App Should You Use on Windows? Desktop vs. Store App Which Free OneNote App Should You Use on Windows? Desktop vs. Store App OneNote comes in two different flavors: a desktop app and a Windows Store app. Both are free! Let us show you how they differ, so you can choose the one that's best for you. Read More , this could be a significant factor. It’s too bad that the Windows Store is somewhat problematic How Dead Apps Are Drowning the Windows Store How Dead Apps Are Drowning the Windows Store Dead apps are everywhere in the Windows Store. Why are apps abandoned, how does it affect users, and how could Microsoft solve this dilemma? We analyze the sad state of the Windows Store. Read More . How often do you use Share features in apps? Is this something that you’d want across all Windows apps? Let us know your thoughts in the comments below! "Launch the Registry Editor (regedit in the Start Menu). I think you're missing a step - NAMING the Registry key. LOL.